Welcome to another edition of The Gadget Buzz which is a new feature on Trak.in where we present to you the most buzzing gadget stories around the industry. Google has always been very consistent with its Nexus Smartphones. Google Nexus 5 which has ben a decently popular phone in the series from the year 2013 now has again become talk of the town. A recent Antuntu Benchmark screenshot has revealed the benchmark score of the device i.e. 85,530. It is expected that Google will be launching Nexus 5 (2015) which will be made by LG of course alongside the Nexus 6 successor which is expected to arrive from the house of Huawei. As per the leaked information it is the highest score as of now which is followed by Samsung Galaxy S6/S6 Edge. 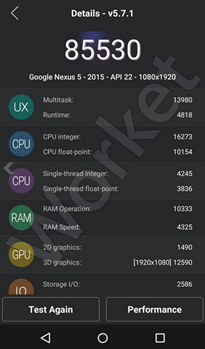 It’s quite sure that Google’s Nexus 5 (2015) will pack next generation processor and 4 gigs of RAM. No other details about the phone are available as of now. 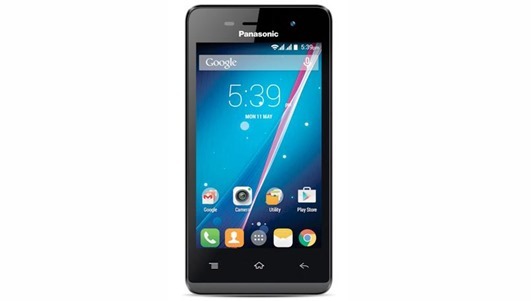 Panasonic India has just announced their new 4 inch Android Smartphone for the Indian market. The phone comes with 1.2 GHz Quad-core processor, 512 MB of RAM, 3 MP camera, 1500 mAh battery and it runs on Android Kitkat out of the box. The talking point of the smartphone is the support of 21 Indian languages. The phone is priced at Rs. 4,490 in India. It will be retailed via offline market only. Mi 4i the latest flagship smartphone from the company is now available on open sale across all the retailing channels. Mi India today announced that the smartphone will be available for purchase on Flipkart, Snapdeal, Amazon, The Mobile Store and Airtel stores across the country. Mi 4i packs some really impressive specifications like 5 inch 1080p HD display, Snapdragon 615 SoC (2nd gen), 2 gigs of RAM, 16 gigs of on-board memory, 13 MP primary sensor, 1.8 MP secondary sensor and a 3120 mAh battery. Phone comes with 4G compatibility with all Indian bands. Sammobile, a highly placed source for Samsung updates has revealed that company’s upcoming phablet device i.e. Samsung Galaxy Note 5 will feature a 4 gigs of RAM. With this leak it is quite clear that Note 5 will be joining the 4 gigs of RAM phones club very soon. Note 5 will come with a LPDDR4 RAM which is said to be the fastest of all. LPDDR4 RAM with same power consumption as LPDDR3 provides much better performance. It is also said that Samsung’s new flagship will be arrive with company’s new Exynos 7422 64 bit processor which is specially developed for the phablet. Note 5 will be launching before September as per the sources because Samsung want to avoid the release clash with new iPhone. Motorola’s Moto X (3rd Generation) is among the devices which is keenly anticipated this year. 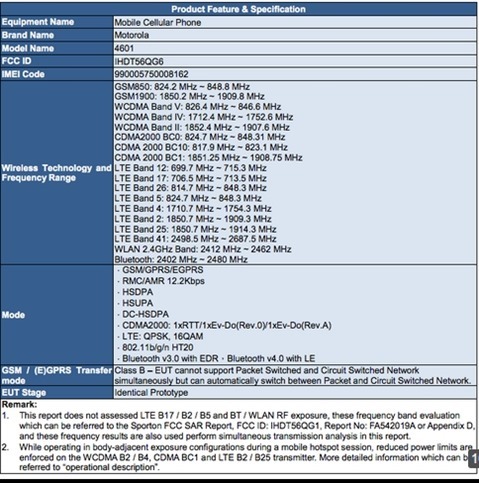 Moto X ‘Kinzie’ has been spotted at FCC which reveals that Motorola’s next big thing is very close to release now. This will be the first smartphone which will be developed by Motorola under the Lenovo. Moto G 2015 is also expected to launch with new Moto X and next version of Moto 360 could also be announced. No specs information is available at the moment but the device is anticipated to arrive with Snapdragon 820 with 3 gigs of RAM, improved camera, and better touch less control as well.